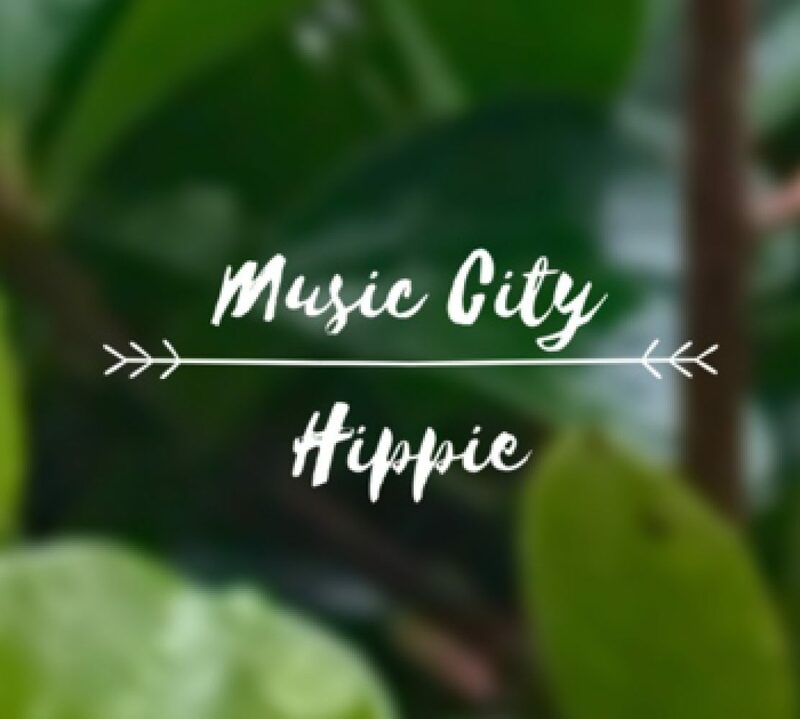 Music City Hippie, copyright 2016. All images and posts are the property of site owner. If you share, please give credit where credit is due and link back to this site. There is something magical about a fire. Tending the fire is immensely therapeutic for me. As a child, I watched my grandfather tending the fire in the winter and marveled at how he could stare into it for so long and so peacefully. As an adult, I see now what he saw then. While there is power in the fire, there is also grace. Flames dance and shimmer, swirling around other flames in a mad waltz of orange and red. The wind spins and twists the flames into chaos and fuels them instead of extinguishing them. At the heart of the dance, blue flames burn with immense heat in their deceptively cool color. The wood pops and crackles as it tells long hidden secrets, releasing its energy in its final purpose. Smoke pours forth and slaps you in the face once in a while just to make sure you are paying attention. Ashes rise up, then drift down like snowflakes, twirling on the breeze like fairies. 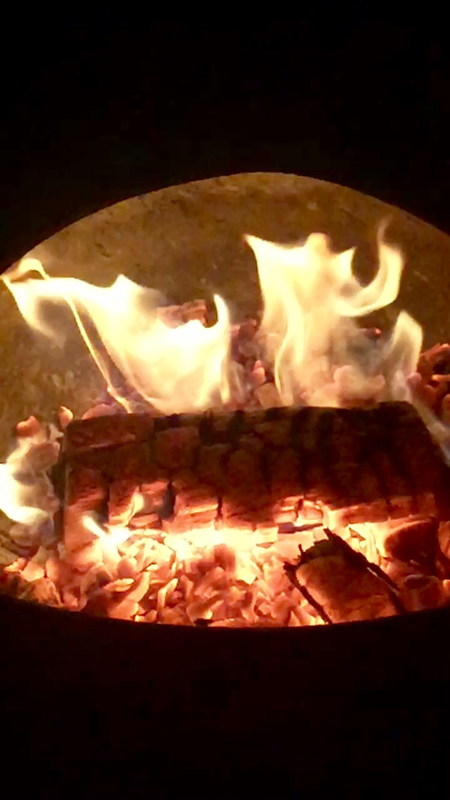 As the flames die and the embers glow, they appear almost liquid, reds and deep oranges pulsing in the coals. Well-tended and controlled, fire is a marvel. Uncontrolled, it is an angry destructive force. Tending a physical fire is one thing, but keeping the marvel of the fire within going is quite another. We all have that fire inside. Something that burns with purpose. How intensely it burns depends entirely on how well we tend it. Often, the flame can almost go out from neglect until something or someone sparks it again. 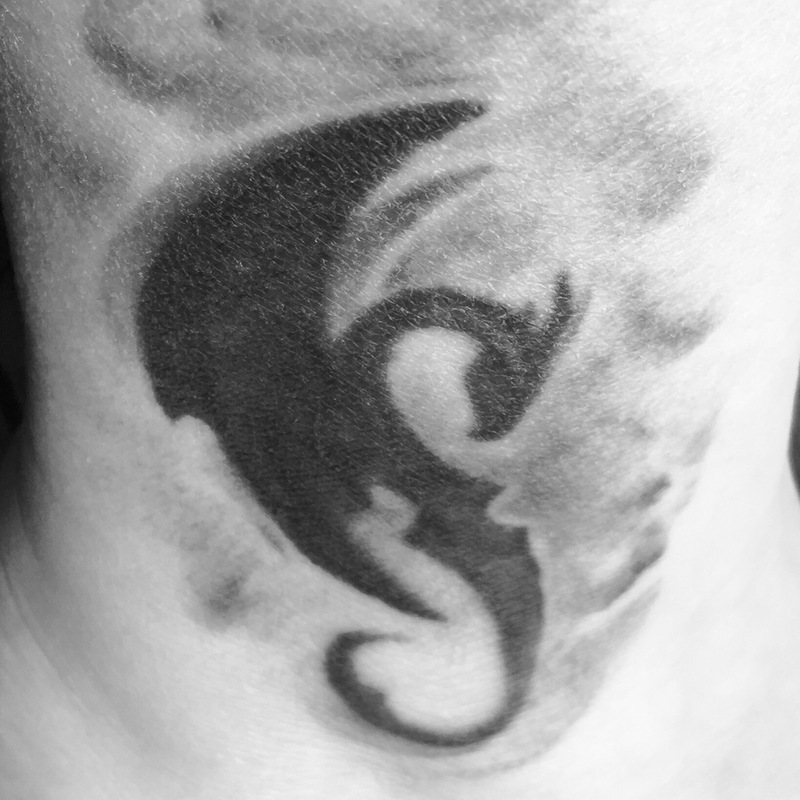 My dragon tattoo, like most people’s, has significance to me that is more than skin deep. The meaning of a tattoo is often a very personal one. My dragon tattoo is a representation of my purpose as a mother, writer, and teacher to light the fire within. To that end, I must remember to tend my own internal flame so it can spark a fire in others. By tending the physical fire that serves as a meditation for me, I nurture the fire within. Experiencing the sounds, smells, and feeling of the physical flame, the mindfulness of the experience has greater internal benefits. What lights your fire within? How can you fuel that fire in the New Year? Remember to like, comment, share, and subscribe!